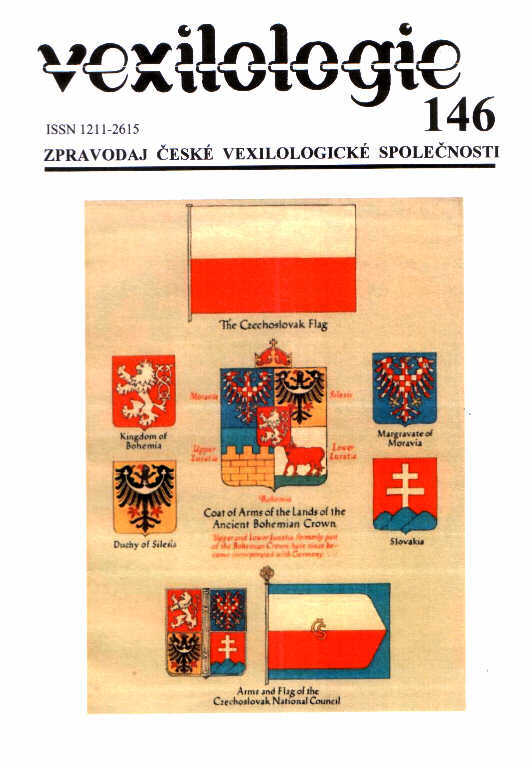 A very interesting article written by our leading vexillologist Aleš Brožek commemorates the 130th anniversary of the author of the Czechoslovak (and Czech) national flag Jaroslav Kursa. He was born on Oct 12, 1875 in Blovice (West Bohemia) but he later lived in Plzeň and finally in Prague. There, he started his university studies of philology, literature and linguistics but interrupted them in 1898. He was engaged as a junior teacher of Czech, German and French at the High School in České Budějovice (Budweis). Since 1900, he was active as a teacher-assistant in various schools in Prague. On Feb 1, 1909 he joined the Vice-Regency Archives of Bohemia renamed to the Interior Ministry Archives in 1919. In the rank of an official of these archives he attended the Arms Commission authorized to conduct the works on the State symbols of Czechoslovakia between 1919-1920. Due to a very low social status of his family his successful activities in this export body promoted his carrier substantially when named a proper archivist in 1923. 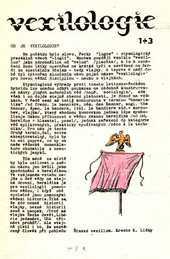 His authorship of the national flag – still questioned in our public opinion because of the Communist propaganda about the same design found in hereditaments of the leftist graphic artist J. Jareš – has been approved by the Interior Ministry notification of the royalties conceded to him as an author of the flag and by the thanksgiving letter of President Masaryk. Already working in Vienna since 1922, he had to defend his design against some criticism related to the uncommon rendition of our flag with a blue triangle. When organizing a division of the Austrian and Czechoslovak archives and some other activities in the town of Brno he met his future wife. Due to his poor health condition J. Kursa retired in 1931. After WW II, he was working as a librarian and archivist of the Central Education Endowment; genealogy and vexillology remained his hobbies until his decease on June 12, 1950 in Prague. The symbols of further four regions of Central Russia are presented in this article by a leading Russian vexillologist V.A. Lomantsov. The arms of the Moscow region (Fig. 2) are almost identical with those of Moscow itself but a riding figure of St. George Victorious is facing to the dexter unlike on the municipal arms. Similar dichotomy is obvious in the case of symbols of another Russian region – Kaluga. Wavy silver fess in the blue shield of the town of Kaluga (Fig. 4) stands for the Oka River while the crown symbolizes its privileges. The municipal flag of Kaluga (Fig. 8) is completed with a vertical red stripe at the hoist topped with a white sputnik that was added to the municipal symbolism in the Soviet period. It should refer to the famous Russian scholar Tsiolkovski who lived in this town. As for regional symbols, both historical (Fig. 5) and modern (Fig. 9) arms replace blue colour of the shield by green one that is completed with a red horizontal stripe in the regional flag (Fig. 10). The figure of the kniaz – the head of the Ryazan principality has been shown in the arms since the 17th century. This emblem decorates both the municipal and regional symbols of Ryazan, the regional flag (Fig. 17) of which also repeats Russian national colours (R-W) and golden colour of the shield of the arms (Fig. 16). A quite curious emblem – a paradise bird Gamayun sitting on a cannon – has symbolized the Smolensk region since the 17th century already. No wonder that it is displayed – under principal coronet – on the regional flag (Fig. 23), too. It consists of three horizontal stripes standing for three horrible wars this region had to face during the 17th, 19th and 20th centuries. Two narrow yellow stripes recall distinctions of the Lenin Order awarded to the region in 1958. The newest issue of VEXILOKONTAKT is ready for dispatch to our foreign colleagues! 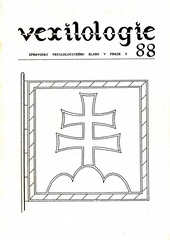 Series of articles by Petr Exner is dedicated to the XXI ICV Vexilobaires 2005. 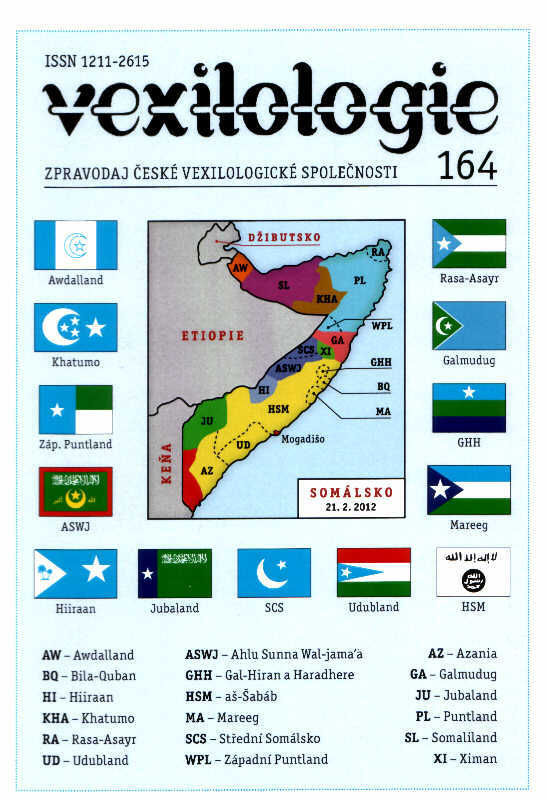 The complete history of the regional symbols adoption procedure within 2001-2004 is depicted on 44 illustrated pages with a remarkable detail. The official and authorized renditions of all regional arms and flags are presented on 8 colour plates added. Moreover, the author has been just honoured with the Vexillon Award! 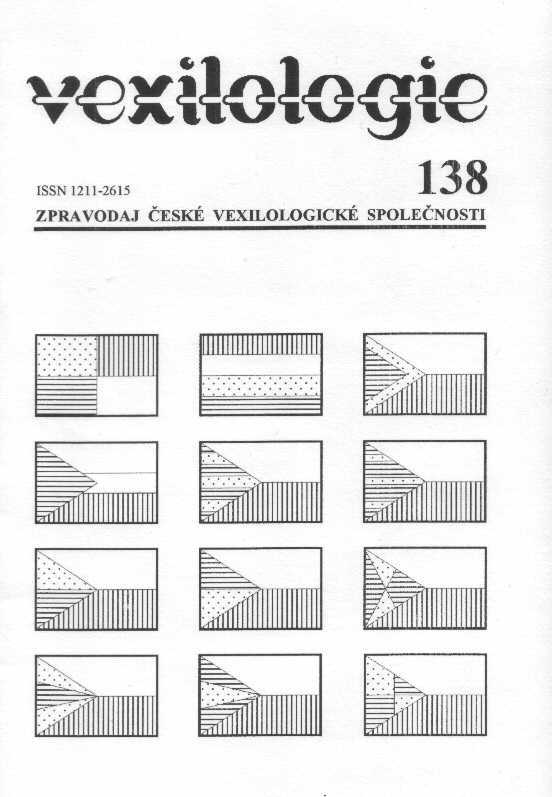 If you are interested in obtaining this publication, send kindly amount of USD 10,- (for overseas) or EUR 5,- (for Europe) in cash to the address of the Czech Vexillological Society (attn. L. Mucha). Price reduction 50 % is available for the CVS-members only.